Darby Dental Supply recently expanded its personal product brand selection by introducing Darby Disposable Air/Water Syringe Tips. Darby Disposable Air/Water Syringe Tips feature a durable steel inner core that guarantees dry air or fresh water. Darby Disposable Air/Water Syringe Tips ensure air and/or water exactly when and where needed while protecting patients. By using disposable syringe tips, patient safety is improved by eliminating the concerns of cross-contamination and buildup in metal tips. 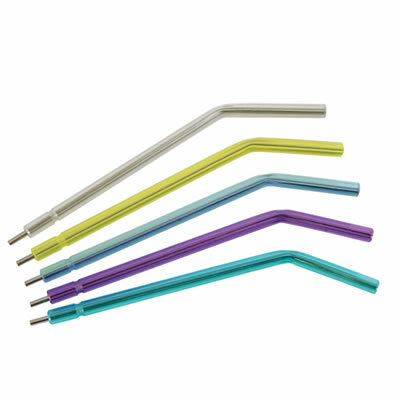 The plastic exterior of the syringe tips comes in 5 translucent colors: yellow, purple, teal, blue, and clear. The tips are available in a 250-count assortment bag of colors, or one solid color.